I was very happy for Nick Nolte, Rooney Mara and Gary Oldman- they all deserved it! Also, it is nice to see Jane Eyre on the list, if only just for costumes! Biggest dissapointment: Fassbender for Shame, I can deal with the rest! Great post and you are right- my twitter exploded after the announcement! Jane Eyre seems to be one of those films that has a small but very devoted group of supporters. I’ve seen a number of people call it one of their favorites of the year. I might have to check it out at some point myself, even if it doesn’t particularly look like my cup of tea. I’m happiest about Max von Sydow! I haven’t seen the movie since it hasn’t come up yet as you know and I fear the worst from the reviews I’ve seen. But man, I love him so much! I wish he finally could get an Oscar for long and good service if nothing else. Yeah, von Sydow was a pleasant surprise for us Swedes, wasn’t it? I think he might be one to keep an eye on in the category. People were clearly underestimating the Academy’s love for Extremely Loud and Incredibly Close. 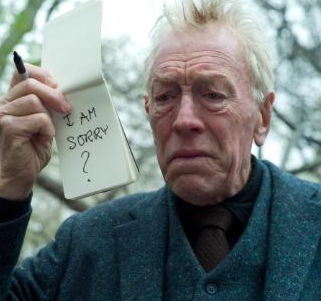 I think many might have relied on Plummer getting the win due to his overdue status, but there is no such card he can play now that von Sydow can’t match. They’re both respected veterans, both 82 years old, both with only one previous nomination and no win. Max von Sydow will be one to watch in the coming weeks. I didn’t get the surprises I had hoped for, but the two nominations that made me happy were Nick Nolte for supporting actor and Rundskop (Belgium) for best foreign film. Not because they were best, but because they weren’t favorites to make it. I won’t go into disappointments, those can be found in my own blog post on the subject. This year I lack movies and performances I really love and can cheer for a bit extra. I’m also a bit dissapointed when we have heavy favorites, just like last year. This year it’s The Artist vs. The Descendants. Last year it was The King’s Speech vs. The Social Network. Problem is, neither of those films were/are ones I could cheer for. I guess I’ll have to hope Moneyball can pull off a major upset… somehow. Best Picture eventually always boils down to either a dead-certain winner (like Slumdog Millionaire or Brokeback Mountain, even if the latter lost in a huge upset) or a two-horse race (King’s Speech & Social Network, Hurt Locker & Avatar…). It’s inevitable. I’m just happy it took so long this year before it narrowed down. The Artist took its sweet time before it was declared the arguable front runner. I also think you might be off when it comes to its biggest threat. The Descendants didn’t do as well as expected with the nominations. Only 5 nods in total, missing out on an expected Supporting Actress nom for Shailene Woodley and not having much support from the crafts branches. I’d say Hugo is the one that could challenge The Artist. Not just because it got a lot of nominations, but because it too is about the love for cinema’s past. Having Scorsese on board doesn’t hurt either. After seeing The Descendants, I hope I’m wrong cause I didn’t find it that special. But I’m mainly going by what I’ve read and that’s that The Artist and The Descendants are the front runners. However, this could easily change when it comes to the Oscars and you’re right that Hugo might be the one challenging. I still hope Moneyball can somehow get a buzz going and go for the win. That would be sweet. I remember when Crash “upset” Brokeback Mountain and how happy it made me. So upsets do happen every now and then, even though I feel they happen less often now than let’s say ten years ago. Hard to say whether upsets happen more or less nowadays than in the past, considering I didn’t pay any attention to the Oscars back then. They do still happen though, at least if one looks past the Best Picture category and towards the other fields. Precious winning Adapted Screenplay over the much-predicted Up in the Air, Alarn Arkin getting Best Supporting Actor for Little Miss Sunshine from out of nowhere… There can still be surprises. Honestly, at this point I think it’s pretty well established that the Oscars are going to overlook handfuls of artists who truly deserve recognition each and every year. Not only that, but it’s also an exceedingly subjective discussion in the first place. The snubs are obviously here like Swinton, Fassbender, Brooks, and even Serkis to an extent, but it’s the Oscars and I will always watch them. There’s only so much room each year. Plus, while nobody can tell the Academy what to like, there’s always things going on behind the scenes that are out of the movies’ hands. Some distributors don’t have the funds to send out screeners to voters, other companies have too many films to focus on and can’t support everything on its plate, etcetera. Call it politics or business if you will, but it’s the reality of the situation. The voters are people who work with films. Many of them don’t have the time to see everything that deserves to be seen. They need to be prodded to see this or that film instead of those other ones. If no prodding is done, it’s hard for films to gain traction with enough of people, especially when it’s as big a voting group as AMPAS. I don’t want to sound like an Academy apologist. I just think it’s important to see the Oscars race for what it is. And it’s also important to keep talking about the films you yourself love, so that people will hear about them and want to see them. That was a very nice writeup. Personally I don’t care much about the Oscars, which like you say is a popularity contest, so there are always going to be movies/actors etc. missed out. Thank you! As a film lover, I can totally see why one wouldn’t care about the whole circus. The talking about the merits of the films themselves can often get drowned out by awards gossipping. This is why I think it’s important to separate the two in one’s mind. Whole heartedly agree Emil. Far too much whining, not enough love, joy and happiness… and it really is just the Oscars. They are pretty predictable and I actually think the amount of comedy and the inclusion of people like McCarthy is a step forwards. The ‘best’ films don’t have to be dramatic, neither do the best performances. 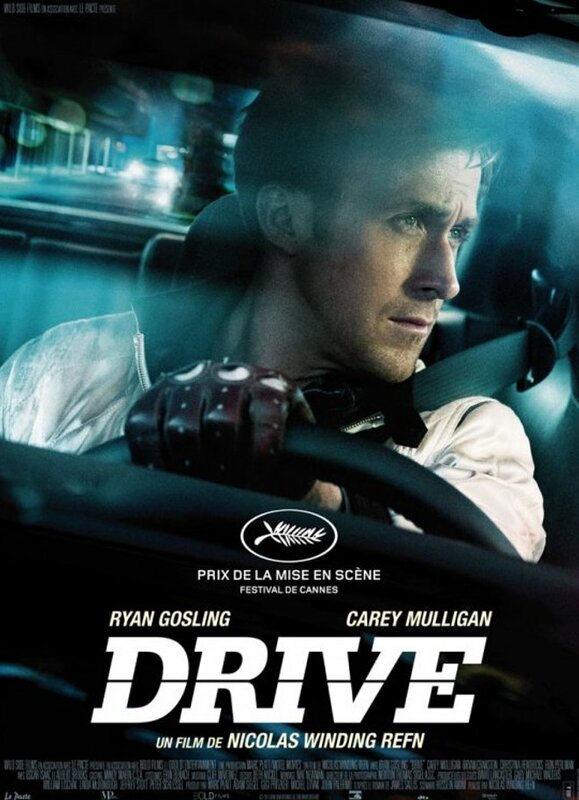 Good point about Drive and Fight Club. These films won’t win Oscars but doesn’t mean we love them any less. It’s just the Academy is a bit on the traditional side. It’s not that bad… like you say, they’re entitled to their opinions and their opinions are worth a lot to many. And not so much to others. I too like that the Academy seems willing to accept comedy a bit more than they normally do. I’m a big fan of comedies and feel that it should be considered as important a genre as drama. While I can’t speak for either McCarthy’s or Hill’s performances, having not seen their films yet, I like the principle of their inclusions. I feel less connected to the Oscar noms this year than I have in years past – I’ve hardly seen any of the major movies involved. However, I was psyched to see Midnight in Paris’ Best Picture, Best Director and Best Writing nods. I’m a mega Woody Allen fangirl and thought this was his best in *years* so it was exciting to see some Academy recognition for it. lets just hope A separation wins the oscar….it is truly a masterpiece ! !